Traditionally fitted to early panelled doors, "HL" Hinges are used in similar applications to "H" Hinges but with one strap shaped like a letter "L" to provide extra strength to heavier or damaged doors. 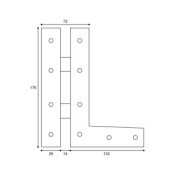 This larger size "HL" Hinge from our Rustix collection is a good choice for lightweight room doors, internal shutters and folding screens. Forming part of our "Rustix" range this hinge is expertly hand crafted using hammer and anvil and finished in a choice of either Rustix Waxed or Rustix Bright. 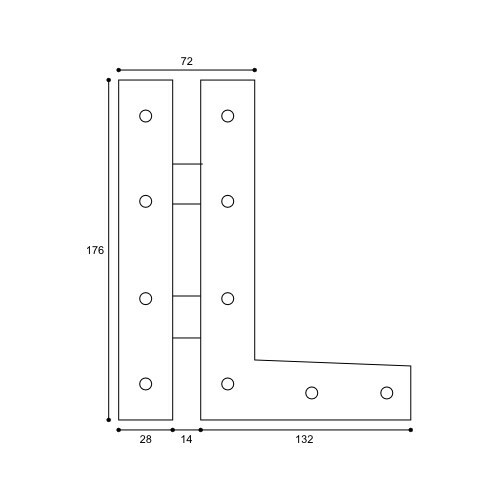 HL hinges are designed to be fitted to the opening face of doors with the hinge leaves being visible on both door and frame when the door is in the closed position. 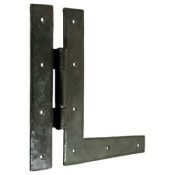 They are supplied as a mirror image pair to suit left hand or right hand openings.